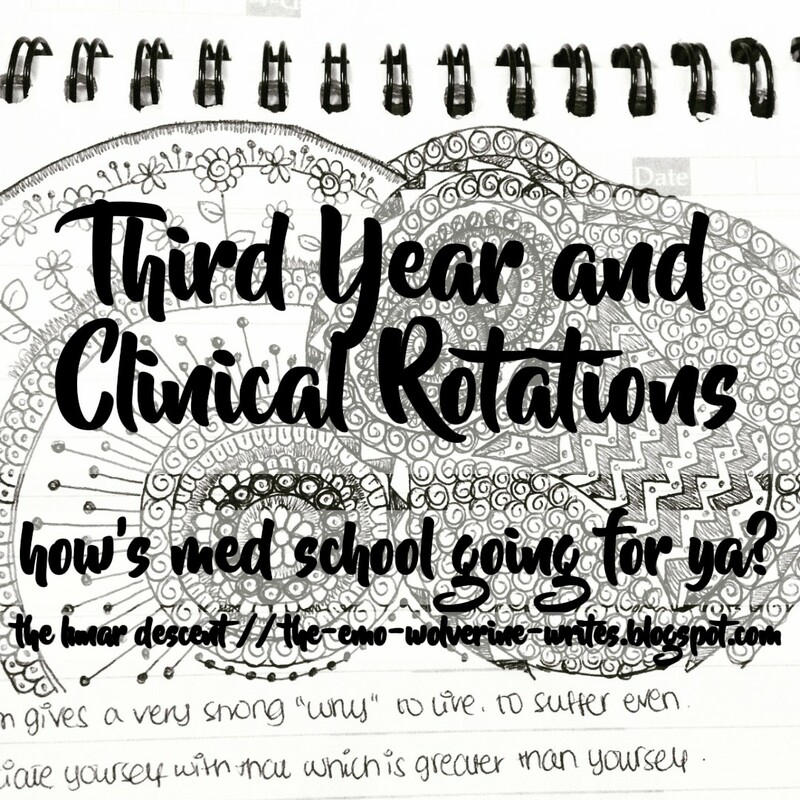 While I’m writing the first half of this post, I’m still technically not in third year. Sure, classes have started, but I haven’t officially been promoted yet. The exam results aren’t here and there’s rumors everywhere- that thirty people have failed- and so it’s not surprising that a lot of people are feeling demoralized and unable to truly study in third year until they know for sure that this is where they will be staying. I’ve been trying my best to be mentally in third year as much as possible and to have high hopes that I will be promoted from second year on my first try. So here’s me being excited about third year! Being in third year with all these new subjects meant getting new books too. I like the idea of new books (smelling the pages) and I’ve got most of my books already. The pharmacology book is gigantic (and painful to read) so I got a smaller book to review it from. I plan on annotating the smaller book and then discarding the larger book. I don’t need gigantic text heavy books to give me lots of stress before the exam! I also realized taking notes was going to get pretty hard, so I’ve decided to use a notebook for lecture notes, which I would combine with the lecture slides and then add to the margins of the textbook I intend to use thoroughly. Clinical rotations have also started, we’re supposed to spend one day a week with the clinical side of the teaching faculty. Some of our class has lectures depending on which department they’ve been assigned to while others go to the OPDs (out patient department) to approach patients and take histories from. My first clinical rotation is in the gynecology department and so far, it’s been pretty interesting. I had two other people in my group and the doctor we were assigned to was nice enough to let us take our first history together. So we settled together on one patient and asked her a ton of questions, noting things down before we could repeat the information to the doctor. After that, we had to learn how to physically examine a patient. The doctor walked us through the general things before taking a patient and showing us how to examine someone who is pregnant. Careful palpation can help you figure out how the baby is lying, where it’s head is and how the delivery might happen. Of course, you need experience to be able to say these things confidently. “Take off your scarf” the doctor said. I’m trying so hard to hear a heartbeat but… I can’t hear anything. I’m debating to get my hearing checked cause I can’t really hear anything on stethoscopes either. I get up, fixing my scarf haphazardly. “Yeah, I heard the sounds” I say hastily. What else was I supposed to do? I’m sure things will get easier to do as time goes on. As I write the second half of this post, I would like to tell you that I have passed my second year examinations and have been successfully promoted to third year. I have no excuse not to slack off now. I’ve got a lot of stuff on my plate apart from studying, like SIST, research and this blog. I’m not sure how I’ll manage it, but I definitely will! How has your academic year been going? Have a nice day!